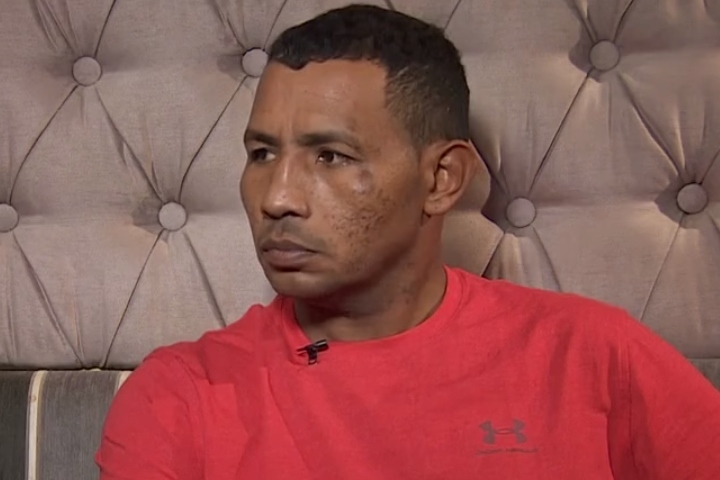 It looks like Ricardo Mayorga will have a 450-mile walk home after spending all week running his mouth. Just don’t expect him to change his ways or even fade off into the sunset after his latest in-ring humbling. The middle-aged former welterweight titlist suffered his third straight stoppage loss. The latest came in a 2nd round defeat to debutant Lester Martinez on Saturday evening in his opponent’s hometown of Guatemala City, Guatemala. A series of power shots had Mayorga cornered and defenseless before being rescued from further punishment. Martinez enjoyed a considerable height advantage and—at age 23—was literally half the age of the 46-year old Mayorga, who continues to talk trash to no end. The foul-mouthed brawler made plenty of bold claims throughout fight week, not only guaranteeing a 1st round knockout but promising to “return to Nicaragua by walking all the way home” had he lost. Of course, the next promise that Mayorga (32-12-1, 26KOs) actually keeps will be his first. In the meantime, he once again finds himself a laughing stock deep in the twilight of his once respectable career. Martinez never showed any inclination of being in awe over the celebrated former titlist, moving forward throughout the brief affair and throwing his right hand with knockout intentions. Mayorga managed to dodge his opponent’s power shots throughout the first round and for a healthy portion of round two, but no longer boasts the equalizer that once upon a time helped him get through a crowded welterweight field. Never known for his defense, Mayorga eventually found himself eating far too many punches. Martinez (1-0, 1KO) unloaded with power shots while his much older foe was trapped in a corner, continually throwing punches until the referee decided Mayorga had enough for the night. The loss came exactly 52 weeks from Mayorga’s last fight, suffering an 8th round knockout to Rodolfo Gomez Jr. last April in Laredo, Texas. Once upon a time, Mayorga was good enough to be recognized as the best welterweight in the world. That distinction came following a pair of wins over Vernon Forrest in 2003, both of which came on the heels of his first title win, knocking out Andrew Lewis in the 5th round of their March ’02 rematch. His repeat win over Forrest was his last victory at the weight, suffering a 12-round points loss to Cory Spinks in their Dec. ’03 undisputed welterweight championship bout. Mayorga took his trash talking to a new low preceding that bout, disrespecting Spinks’ deceased mother beforehand only to humble himself and apologize after the fight. Similar childish antics preceded eventual knockout losses at the hands of Oscar de la Hoya, Felix Trinidad, Shane Mosley (twice, and his behavior in the rematch beyond disgraceful) and Miguel Cotto through the years. In 26 years as a pro, though, Mayorga hadn’t ever lost to a boxer making his pro debut. Of course, he’d also never put in play a week-long hike home in the event he couldn’t prevail. All good things eventually come to an end—even if that doesn’t include his own career. Is Keith “One-Time” Thurman on Borrowed Time?